Great Central Street is neither great nor central, being a short road opposite Marylebone Station. 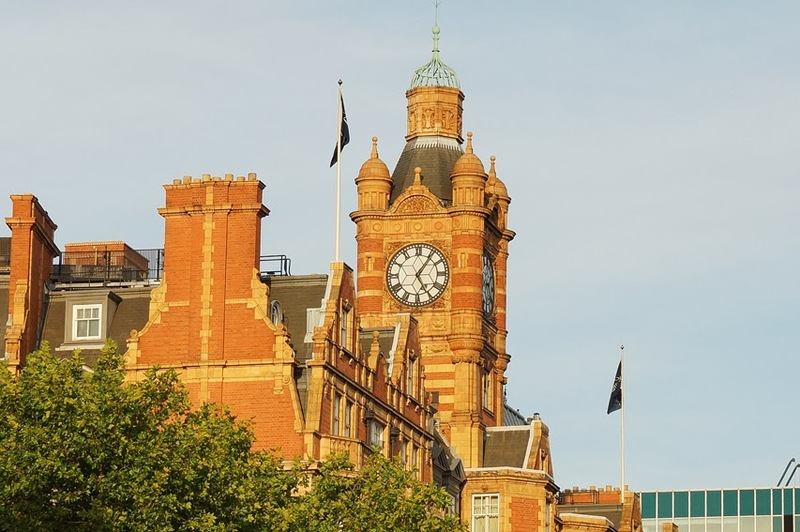 Instead, it was named for the Great Central Railway, whose aspirations included making Marylebone the hub for a train service stretching across Europe. There is, however, a rather glorious Victorian building on its west side. A grand station would need a grand hotel, and so the Great Central Hotel was planned. 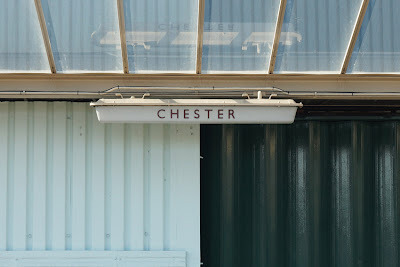 When Sir Edward Watkin, the railway's amibitious leader, ran out of funding the project was taken over by Sir John Blundell Maple - better known for the Maple's furniture company. Since they were already leading furnishers of London's hotels, a move into building one perhaps didn't seem too great a leap. Indeed, Sir John also opened a Maple's shop in the station, so hotel residents could buy the furniture if they liked it! In 1899, this large, grand hotel was opened, attached by a glass and cast-iron canopy to the small station behind. A large central courtyard not only brought light to inner bedrooms but allowed coaches to bring their passengers to the heart of the hotel; it later became a winter garden and is now a restaurant. The hotel is perhaps the most tangible reminder at Marylebone of what the railway project was envisaged to be, in contrast to its more modest outcome. As a railway hotel, the Great Central enjoyed only a few decades of success; once railways lost customers to cars, the hotel's popularity declined. In the Second World War it was used by the army - Airey Neave was debriefed here after his escape from Colditz; thereafter, it served as offices for the British Railways Board. Like its older sister at St Pancras, however, the Great Central was destined for a return to glory. It reopened as a hotel in the 1990s and is now the five-star Landmark Hotel. 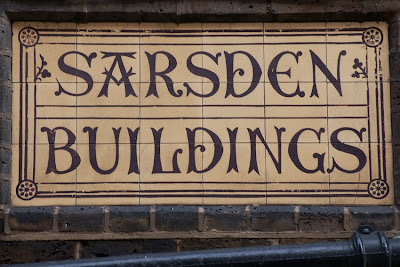 This rather lovely sign in St Christopher's Place, off Oxford Street, marks the entrance to Sarsden Buildings. These are homes built by Victorian philanthropist Octavia Hill, and still managed by Octavia Housing. Hill began her work in Marylebone, although she extended it over much of London: I have previously discussed her work in relation to White Cross Cottages in Southwark. While she began her housing work in 1864 by renovating properties, she moved on to build new housing as well. Sarsden Buildings was among the renovation projects: some of the houses had been condemned by the Medical Officer of Health before she took them over. 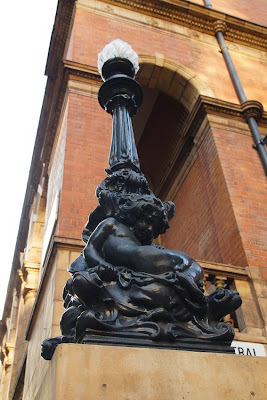 It is hard to believe today, standing a few steps from Selfridge's and with the fashionable shops and restaurants of St Christopher's Place all around, that these buildings were considered among the worst when Hill took them on. Then known as Barrett's Court, its tenants were described by her as 'almost the poorest class of those amongst our population who have any settled home.' That must have made her success all the sweeter. 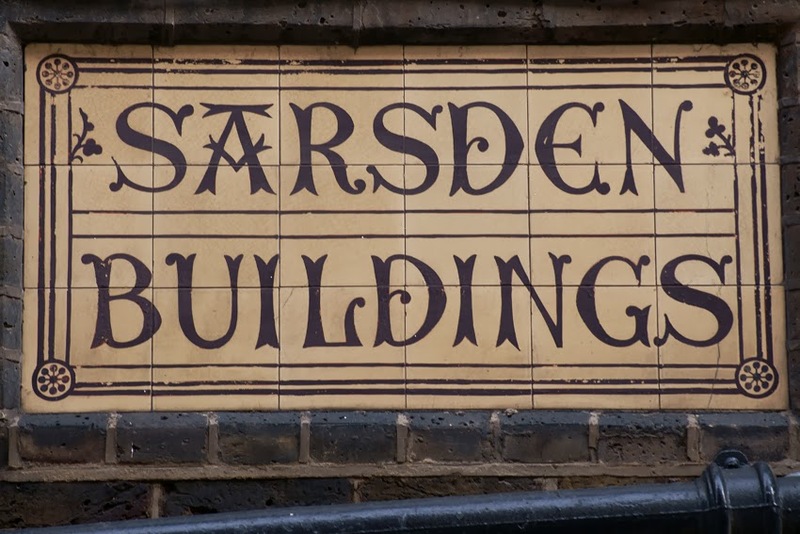 Among her first projects, Sarsden Buildings is the oldest which continues to provide social housing today. Denmark House on Tooley Street, by London Bridge station, is a flamboyant Edwardian building, built by architect S D Adshead in 1908. At first glance, the putti ornamentation at roof level is just more flamboyance. 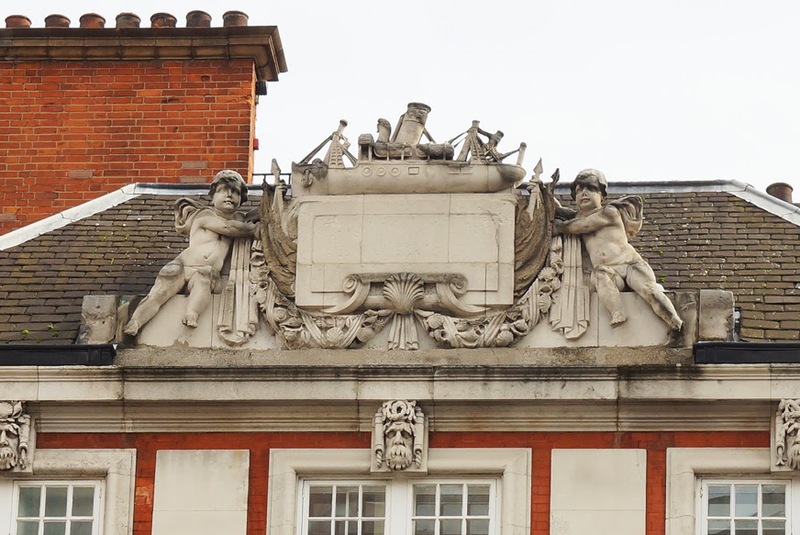 A closer look shows that the plump little figures are supporting a steamship - for this is the former premises of the Bennett Steamship Company. The company sailed between Goole, London and Boulogne. 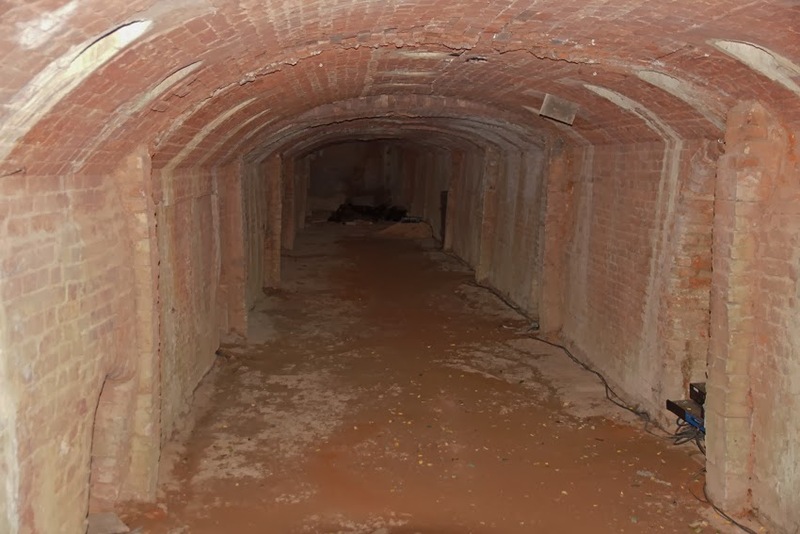 It was at its height when these premises were built; after the First World War its heyday was over and it declined rapidly after the Second World War. Today, Denmark House is part of London Bridge Hospital. However, the jaunty ship is a reminder of when this area was all about shipping. It may not have the most obvious vintage charm, but there's something rather pleasing about this combined lighting and signage at Chester railway station. 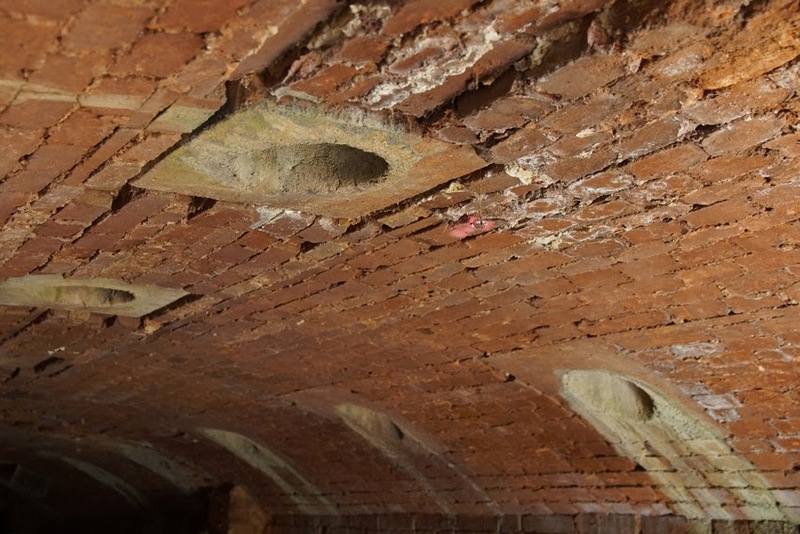 When the Saint Ilan brick and tileworks were built in 1864, they used cutting-edge technology. Their location on the bay of Saint Brieuc also provided high-quality clay. As a result, the products became well-known throughout Brittany and beyond. That state-of-the-art technology, a Hoffmann kiln, still survives today and forms the centrepiece of a museum, La Briqueterie. 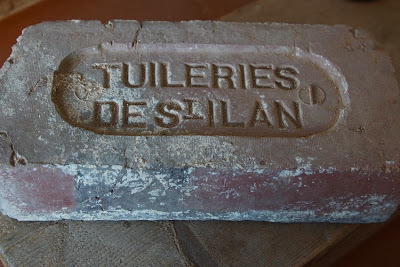 Although Saint Ilan was early to adopt the new process, invented in 1858, it spread throughout the world and transformed brickmaking into a far more efficient process. In the centre of the kiln was a long, narrow tunnel which acted as a flue. Running around it, a long but wider tunnel was divisible into separate sections; bricks would be loaded into one of these sections and its entrance closed up. As the fire moved towards it, the gases would progress from being warm enough to help dry the clay, to hot enough to heat the bricks, and finally of a high enough temperature for the firing itself. Coal was added through holes in the roof; dampers and flues helped to control the flow of the hot gases. 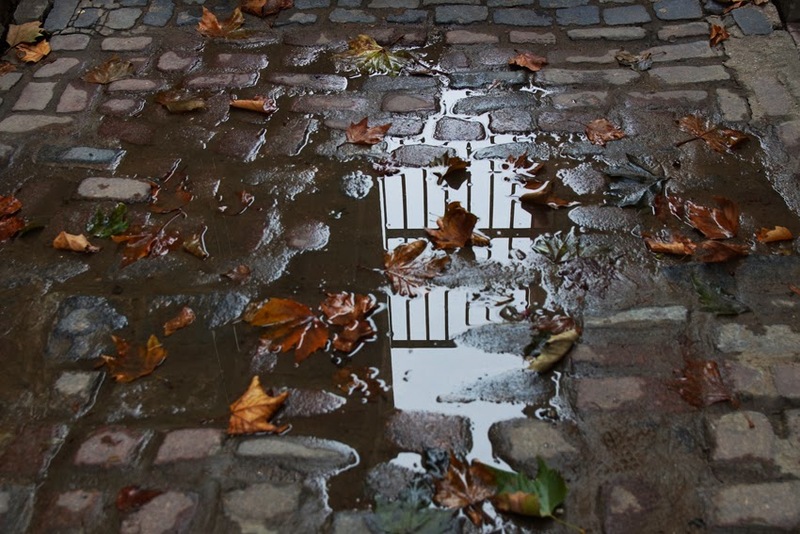 As the fire moved on (by about five metres a day), the bricks would gradually cool and could be removed and replaced by a new batch. This process was a great advance because it allowed the firing process to be continuous. 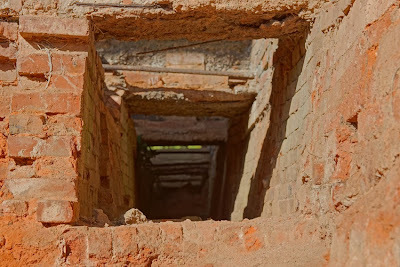 Without having to load, heat, fire and cool one batch at a time, the number of bricks a single kiln could produce increased dramatically, and the fuel was used much more efficiently: Saint Ilan could fire 15,000 bricks a day using half the energy of a traditional kiln. The results were also more consistent, and with experienced operators the wastage rates were lower. Today, Hoffmann kilns have been largely replaced by tunnel kilns which move the bricks rather than the fire; but they remain in use in some developing countries. In its new life as a museum, the brickworks at Saint Ilan also explores other local occupations including salt-making, shellfish-gathering and market-gardening, as well as Harel de la Noë's masterpiece, the Cotes du Nord railway. Low-Tech Magazine has a fuller description of the Hoffmann firing process. 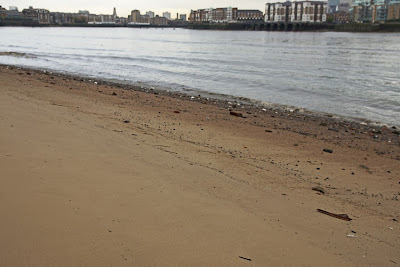 A Rotherhithe Blog, in exploring the history of London stock brick, discusses earlier firing methods. A narrow alleyway, an iron gate, a flight of stone steps... Even if the buildings alongside are now modern flats, it's easy for a moment to imagine oneself back in Victorian Wapping. 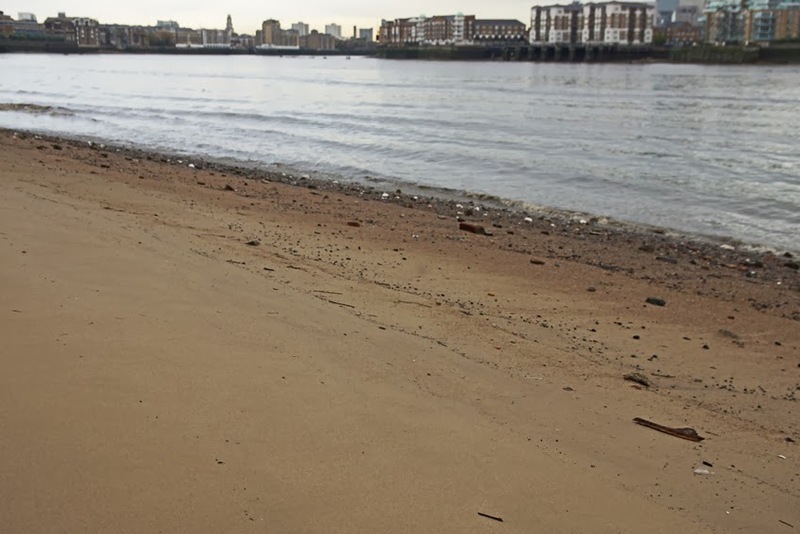 At the bottom of the stairs is a broad, sandy beach with views across Docklands. However, buckets and spades are definitely not allowed - there's a strict 'no digging' rule - and anyway, the threatening rain made playing in the sand a less inviting prospect. Instead, I was here with a group led by Jane of Jane's London, creator of the wonderful Amelia Parker jewellery using Thames clay pipes. We were exploring this beach which only exists at low tide, looking for the historical treasure which the river casts up. 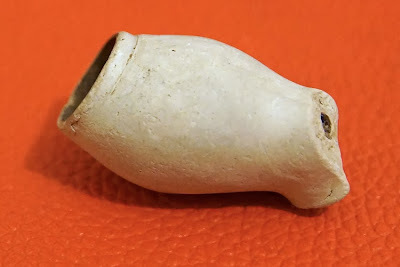 My favourite find was this seventeenth-century pipe bowl. Despite a few hundred years in the Thames, its interior is still smoke-darkened and the decorative line round its rim still sharp. It would have been made by one of over a hundred London pipe factories, all producing disposable pipes in that pre-cigarette era. (Tobacco pipes had been introduced to the city in the 1670s, while the cigarette didn't become popular until well into the nineteenth century.) The cheap, moulded pipes soon clogged with the less-refined tobacco, and would simply be thrown away - often into the river. Today, their rubbish has become our treasure: there's something very special about the opportunity to happen across an everyday item from three centuries ago. If you'd like to join Jane's next 'Forage on the Foreshore', it's on 5 January 2014. Before each London to Brighton veteran car run, many of the cars parade on Regent Street. I've been several times before, and it gets busier each year. With so many people looking at the cars, it was best to focus on photographing details. The variety of headlamps particularly caught my attention: all shapes and sizes, and some fine engraved plaques. Enlightening! A small, unassuming Georgian building behind Regent Street, the Church of Our Lady of the Assumption & St Gregory is not among London's most well-known. However, this Warwick Street building is of historical significance: the last survivor of the city's 'penal period' embassy chapels. From the Reformation until 1791, Roman Catholic worship was illegal in England. Until the seventeenth century, priests risked execution; thereafter, social attitudes softened but criminal penalties remained. Thus there were no Catholic churches, although a few private chapels - generally in country houses - did exist. That was a problem for ambassadors from Catholic countries, and the solution was to build chapels on the 'extra-territorial' embassy land. Our church, originally built in the early eighteenth century, was the chapel of the Portuguese embassy in Golden Square. 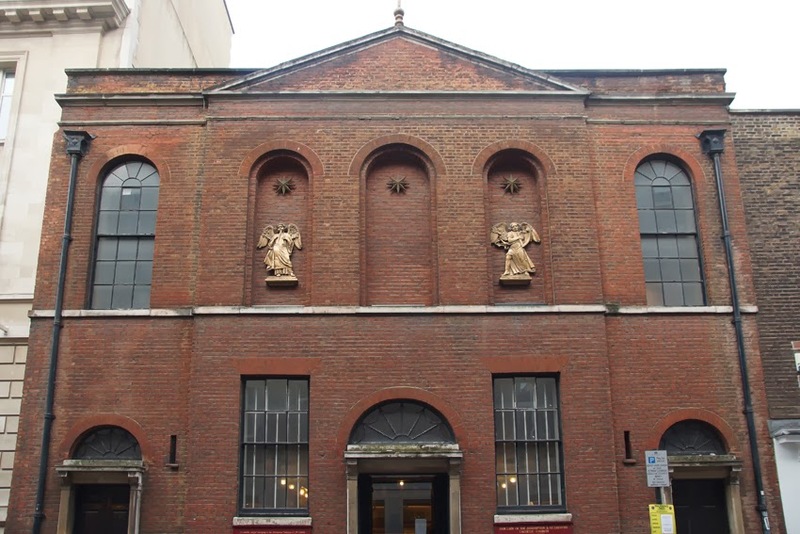 In 1747, the Portuguese moved to South Audley Street (their chapel there would be demolished in 1831), and both house and chapel were taken over by the Bavarian embassy. Other embassy chapels included those of the embassies of France, Venice, Austria, Spain and Sardinia; they were increasingly used by English worshippers, since they were the only places where Mass could legally be said. Anti-Catholic prejudice in the capital famously erupted in the Gordon Riots of 1780. The chapel in Warwick Street was badly damaged, and had to be rebuilt. In 1790, the current building was opened, its facade deliberately unremarkable, with yard-thick walls and fire-resistant doors lined with metal. A year later, Catholic worship was made legal. In 1854, the chapel became a parish church although its nickname, the Bavarian chapel, lasted another half-century. 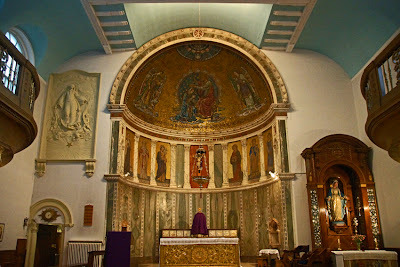 Today, it is the last of the embassy chapels standing in London. Most were demolished; the Spanish Chapel was replaced by St James, Spanish Place in 1849 and the Sardinian Chapel by the church of St Anselm & St Caecilia, Kingsway in 1909.